Vista Transformation Pack 7 has just been released with many bug fixes and updates. 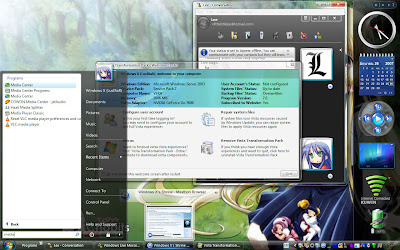 Since it's an unofficial way to skin Windows XP so that it looks like Windows Vista, there were many positioning and stylistic bugs that needed to be ironed out from the last release. One nice update is the one-page setup configuration that lets you do a quick, express install of VTP7. There are also some useful auto-detection routines included that can help you avoid software conflicts with other skinning programs like WindowBlinds. Overall, it's a great way to get the Vista look and feel without the Vista price tag.